Basketball players today are constantly faced with the challenge of getting to and from the court as easily as possible. As equipment and accessories have changed and grown in recent years, players have become more weighed down in their pre- and post-game routines, nowadays lugging suitcase-sized bags to and from the gym. For a long time, flip-flops were the go-to in-transit footwear for many players who would arrive to the gym and lace up their basketball shoes before taking to the court. But now, that conversation is changing. Basketball shoe covers are the new standard for in-transit athletic wear and offer countless advantages over flip-flops. 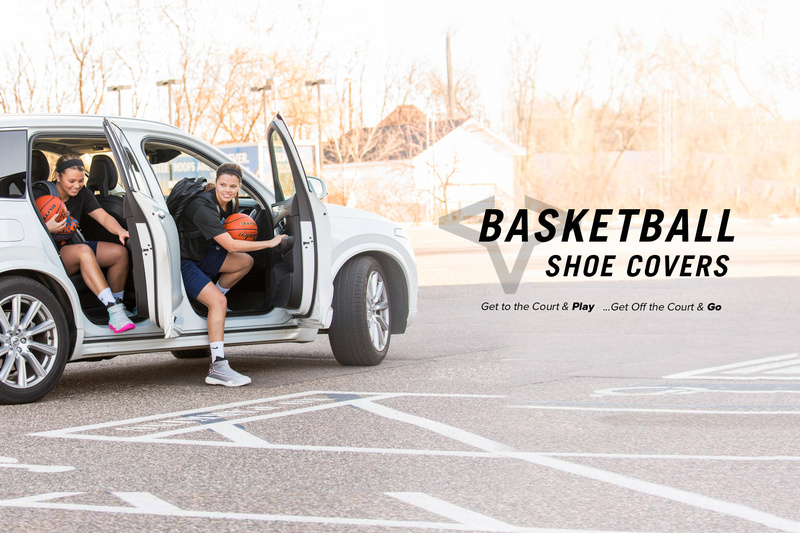 A shoe cover is much what it sounds like, sliding over your basketball shoes while they’re on your feet and allowing you to get to and from the court quickly and easily without sacrificing any of the luxuries flip-flops used to offer. Every serious player can benefit from the versatility and durability of this must-have accessory. Here are a few of the key difference-makers to highlight why you need to replace your flip-flops with shoe covers before your next time on the court. Shoe covers do an outstanding job of protecting your shoes’ soles from the elements. Streets and sidewalks are packed with dirt, mud, slush, grime, and other substances that can all too easily weaken both the appearance and performance of your basketball shoes. One of the primary purposes of basketball shoe covers is to combat against that and keep your soles protected – without ever having to remove your basketball shoes. Taking time to put your basketball shoes on and off at the gym is a popular frustration among basketball players. It’s often the desire to simply show up to the court and start playing. Shoe covers make this possible. By just walking into the building and removing your shoe covers, you’re instantly ready to play. There’s no better way to be the first one on the court and start warming up while the competition is still fumbling with their shoelaces. If you are really serious about grip, you will slip on shoe covers any time you leave the court – even inside for trips to the bathroom, cafeteria, or to fill up your water bottle. The only way to effectively preserve the grip and appearance of your basketball shoes while wearing them outside is by using a shoe cover. Your grip will be kept tight by keeping dust and dirt off of your soles and the protection of shoe covers also ensures your shoes are kept looking their best all the way up to and through game time. Shoe covers tend to fit multiple sizes and can be used for back-to-back seasons while also folding up neatly for easy storage inside your bag. The breathability, stretchability, and storability of shoe covers makes them more than an alternative to flip-flops. They are the only option for in-transit athletic footwear. The FY-DENY is the must-have basketball shoe cover that protects against the elements and makes sure you’re always the first one on and off the court. If you’re a player on the go, you need to replace your flip-flops with the FY-DENY and take your game to the next level. Shop our products today.